Pallets are used for safe deliveries even that of home appliances like refrigerators, washing machines and other electrical home appliances, so you can also ask to your neighbor to get some pallets who have recently received a shipment of any home appliance on pallets! Pallets are being popular due their remarkable uses in DIY furniture building and furniture fashioning! 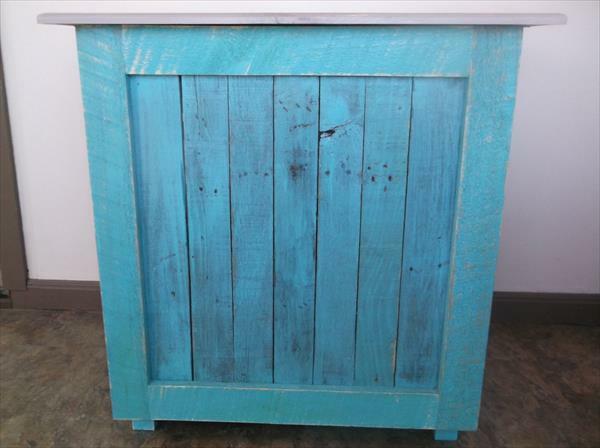 They are just much more than a wood waste and there is much to explore with pallet on our site! Today we are to share this DIY pallet little floor cabinet, resulted from some recycled pallets which have been deconstructed, altered and rejoined to form this splendid mini table with storage! 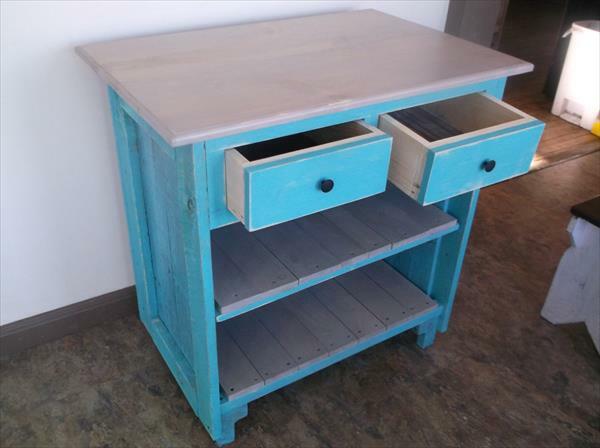 Table has been painted in blue and comes with rustic wooden top, two drawers and two shelving levels! These entire features just make it much friendly to secured type of storage and also unique in its kind! 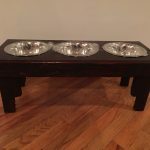 Also use it as a side table and an island table it will be rocking be rocking for every purpose of use!